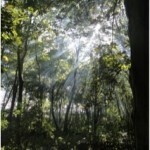 You are here: Home > Blog > Community use > Social Forestry in Glede Wood. Our Social Forestry projects have targeted a range of disadvantaged groups from NEET’s (Not in Employment Education or Training) to women offenders. This time we are engaging members of Telford’s black and ethnic minority. We have managed to gain some funding to buy a minibus, bought cheaply courtesy of Hitachi Capital, which allows us to pick people up from the town centre. As a result this broadens participation and removes another barrier to exploring the forestry sector. 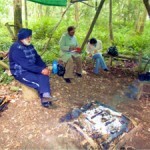 The group arrived on site back in June to discover what just a few months neglect can do to a bivouac camp. They have now, however, got the place tidied up, restrung the tarps and begun small woodland projects of their own. 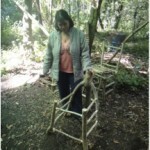 Their projects have begun with simple tasks to understand basic jointing techniques and they have utilised their new knowledge with more advanced projects such as chair making. It is wonderful how their experiences and learning from their homelands has filtered through to the project and given them a sense of belonging. 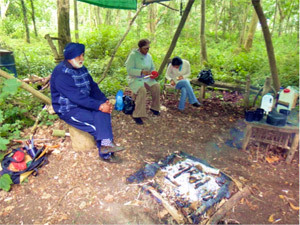 The project is aimed at members of the BME community from Telford who potentially experience issues around wellbeing and isolation and as a result often the most valuable time is spent chatting over a campfire cooked lunch or storm kettle tea. Discussions are often about the similarities and differences between the landscape here in the UK and from their native countries. One of the key outcomes of this type of project is to enable people to better identify and take ownership of their local landscape. With understanding come’s respect, and a desire to preserve. This is a good arena for people to spend time chatting, as often much of their daily routine is segregated either by work or at the place of worship. This was a surprise as at the beginning of the project the anticipation was that we may need to run a women only day, apparently not ! A ll of the participants have involved themselves in helping each other with their respective projects and there is a good social rapport which continues on a weekly basis, discussing topics which have a common theme between them, and their experiences. We continue to observe ways in which we can widen the participation within our social forestry groups, and, this week we had staff from West Mercia Probation team come out to the site to see what it is all about. They had a great time, although one or two had to be persuaded that they probably wouldn’t get to finish making a chair in one day! 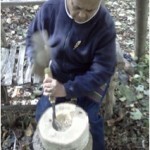 They also discovered that good spoon carving is not as easy as it might first appear. However, we hope that despite aching wrists they will be better placed to refer relevant people from the probation service who may benefit from the therapeutic nature of the environment, as well as, creating craft and managing trees within the woodland. The challenge ahead now lies with getting some management done, Ash trees need thinning and coppicing, young Oaks need the light and formative pruning and the large Crack Willows need bringing down to size! 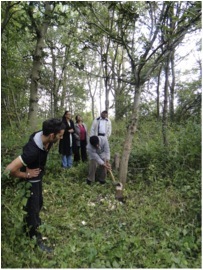 Hi everyone if you’re free the week of the 10th to 14th December there is a Social Forestry Practitioner course running at the Social Forestry Focalsheffield site. Contact me at [email protected]. 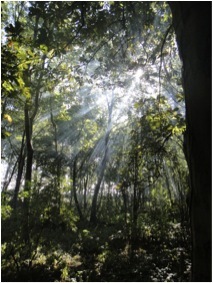 its a fun week and will set you up beautifully to start your Social Forestry career. hi there im looking for a job as a coppice worker, that i can live in the wood and live off the land all year round and make a living. or info to get me started in this new life style…..thank you richard. Through running many of these types of projects we have not experienced an increased number of thefts when probationers are on site either here at the centre or in our woodlands. Obviously woodlands and other rural businesses are vulnerable to thefts. Generally our neighbours have had no issue with the individuals we bring to sites often being supportive of our aims, although occasionally some people do. We have a very good track record since 2003 of helping probationers raise their self esteem and learn skills which have resulted in them turning their lives around and finding work. The Wye Wood project in Hereford (http://www.smallwoods.org.uk/media/Microsoft%20Word%20-%20Wye%20Wood%20Project%20Case%20Study%20-%20Oct%2008.pdf) had a public footpath through it and people used to stop and enquire about the work and the products that were being made and participants were happy to talk and explain. It gave them a sense of pride. Some of our probation participants stayed with us as volunteers after their probation orders were over because they were either unable to find work or their health was such that it prevented them from finding work. They found a new avenue in helping others to develop their skills. 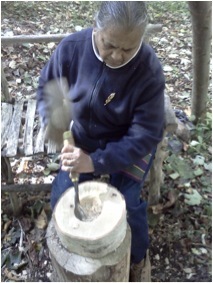 As for our female offenders on our Amazon Woman project eight of them gained qualifications in making coppice products and they have gone on to find employment, further training or volunteer opportunities, one recently completed a qualification in coppicing and is looking to continue and with our support hopes to find a coppice apprenticeship. “I was on drugs but have been clean for 18 months now. I’ve got my chainsaw licence and love it here in the outdoors. 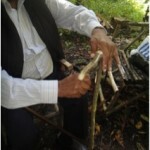 I’m learning coppicing skills which are dying out.” Programme participant Wye Wood Project. Does anyone else have any experience of these kinds of issues? The comments about women offenders and probation officers are a bit alarming. Do you think it’s a good idea bussing convicted criminals into private woodlands? Places that traditionally suffer from petty thefts of tools etc. What do your neighbours think of you doing this? It’s hardly a selling point is it! Well I don’t know where to begin exactly, there is such alot to say about it. 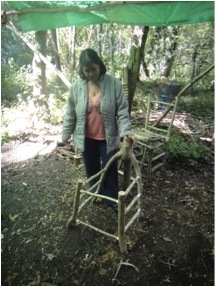 In essence Social Forestry is Forest School for grown ups, we often target specific groups such as Mental Health, NEET, Probation, challenging behaviour etc. Although this generally dictated by funding. I personally would prefer to see completely mixed Social Forestry groups, this would help to break down some barriers and preconceptions. We are working on setting up a Social Enterprise with this in mind. 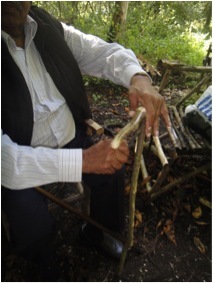 The key to running good Social Forestry sessions is the personality and skills of the individual leading the sessions, they must have a clear understanding of their role as a supportive non-judgemental mentor, as well as good woodland skills. I hope that whets you appetite for the time being, let me know if you have any more specific questions.